Unrepentant book thief John Charles Gilkey has stolen a fortune in rare books from around the country. 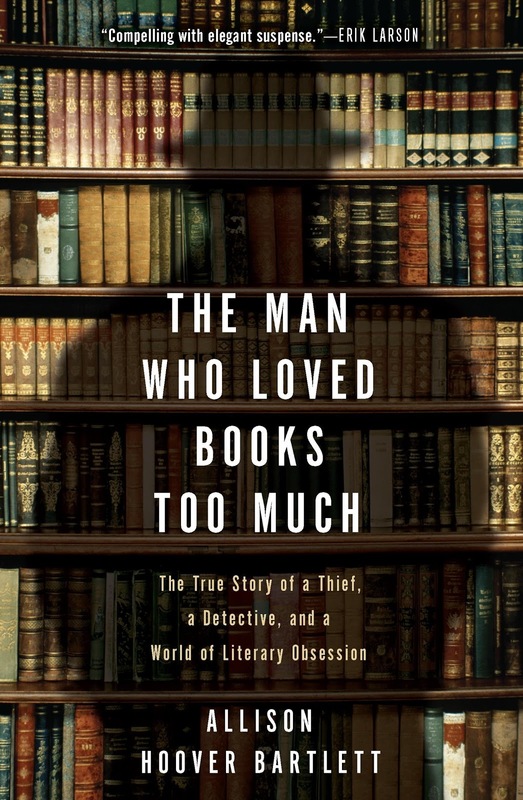 Yet unlike most thieves who steal for profit, Gilkey steals for love--the love of books. Perhaps equally obsessive is Ken Sanders, the self-appointed "bibliodick" who's driven to catch him. 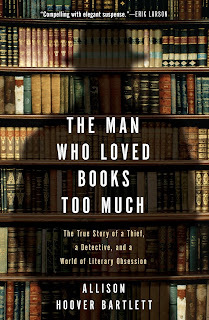 Following this eccentric cat-and-mouse chase with a mixture of suspense, insight and humor, Allison Hoover Bartlett plunges the reader deep into a rich world of fanatical book lust and considers what it is that makes some people stop at nothing to posses the titles they love. The giveaway is only open to U.S. readers (sorry, this isn't my rule) and will close on my birthday: October 6th, 2010. Send me an email with the same thing. Make sure I have a way to contact you to get your address. Put this giveaway up on Digg, Stumbleupon, or some other social network. Leave links in your comment. (1 extra entry each). That's it! Simply enough, right? my most valueable book. . . but I only spent like $12 on it. it would be a well loved, well worn paperback of Ayn Rand's Atlas Shrugged. I've read it five or six times, marked favorite passages, underlined things. i find it very inspiring, but not in the standard Randian uber-free-market way. I've had a few friends ask to borrow it, and I happily purchase a copy for them because I can't bear to loan my copy out. I've had it a long time, and it's gotten me through some tough times in my life. My most valuable book is definitely The Neverending Story :) Personally valuable anyway... it's torn to shreds after 26 years of near constant use by myself and my children... Nobody will ever be able to borrow it from me again! I will pretend that you didn't say Atlas Shrugged was good. And now that I have the same version of The Neverending Story, I can totally tell why you love it! It's such a cool book with a great format. "I will pretend that you didn't say Atlas Shrugged was good." lol, don't worry, you're forgiven. that's really one of those love it or hate it books. Yes, definitely a love it or hate it book. Check your email, by the way.